Work days are long and my schedule is often packed with back-to-back meetings, sometimes I even go straight from coffee (work) to cocktails (party). Dinner? No time for that, let alone going home to change into a new outfit! That doesn't mean you can't bring your A game though, just dress smart and think outside the box a little. Let's start with a LBD because there is nothing more versatile than a little black dress. During the day... 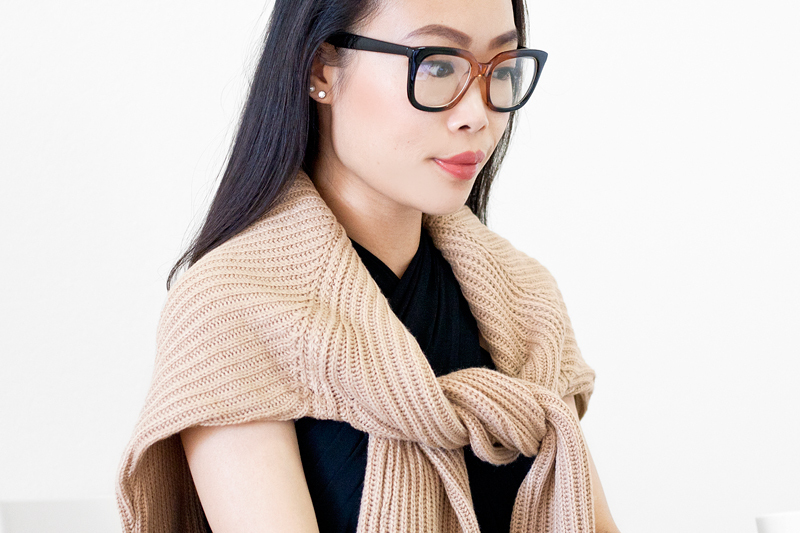 I styled it with a pullover sweater, a pair of ankle booties, and a tote which holds my going out gears. 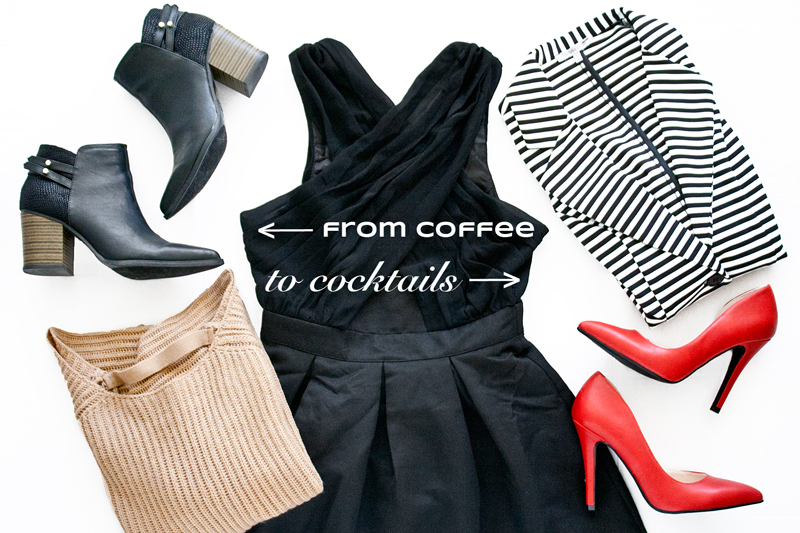 After work... put away your sweater, grab your chic striped blazer, and swap your booties for some party-ready red heels! Simple as that! 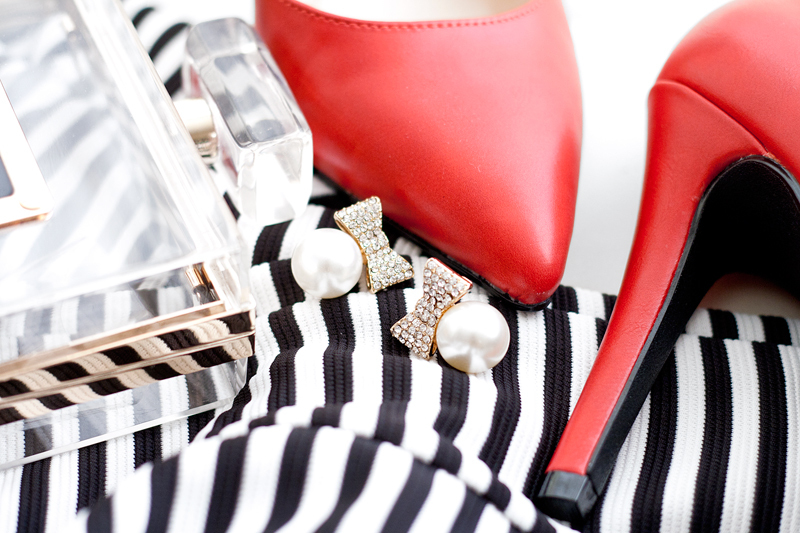 It's amazing how you can transform your look with just a few accessories! Black crossover wrap dress c/o Charlotte Russe. Pullover sweater c/o Charlotte Russe. 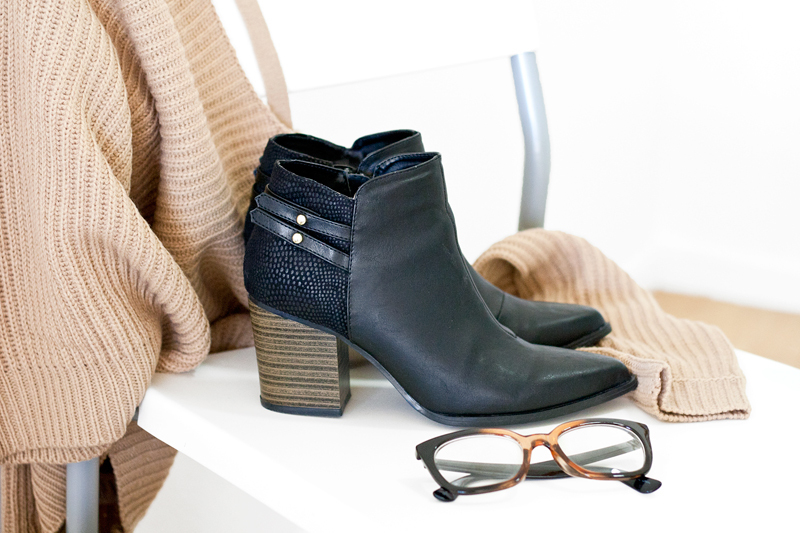 Texture block booties c/o Charlotte Russe. 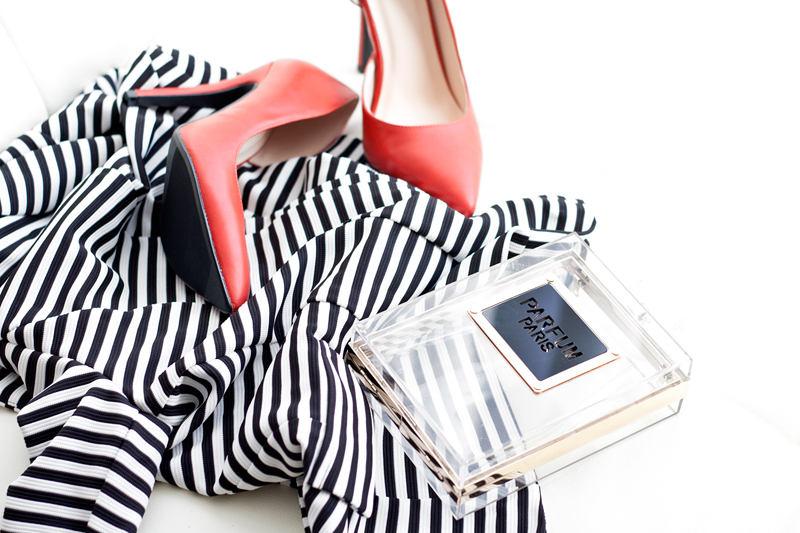 Red d'orsay pumps c/o Charlotte Russe. Pearl and bow earrings c/o Charlotte Russe. Striped blazer (sold out) c/o Charlotte Russe. I think I could get a lot of use out of those boots.